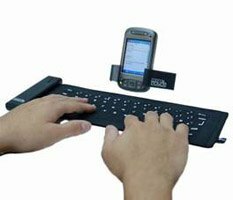 Mobis Wireless Fabric Keyboard | BlackBerry Blast! 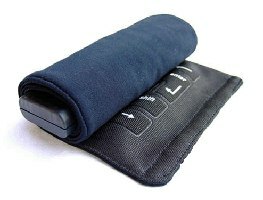 Mobis has introduced a bluetooth wireless fabric keyboard. The keyboard works via bluetooth and is 100% fabric, water-repellent, and comes with a mobile phone/PDA stand. It can be rolled up and placed in a handy stuff sack when you aren't using it.